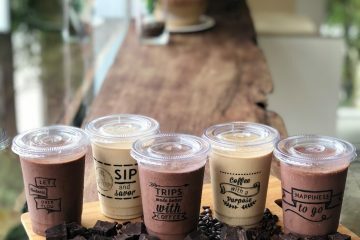 One helps Filipino farmers by purchasing their harvest. 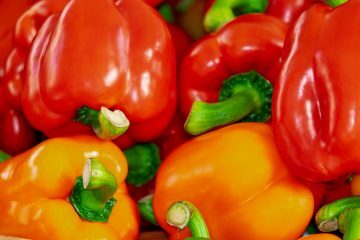 With this in mind, why should one purchase produce from outside the Philippines? 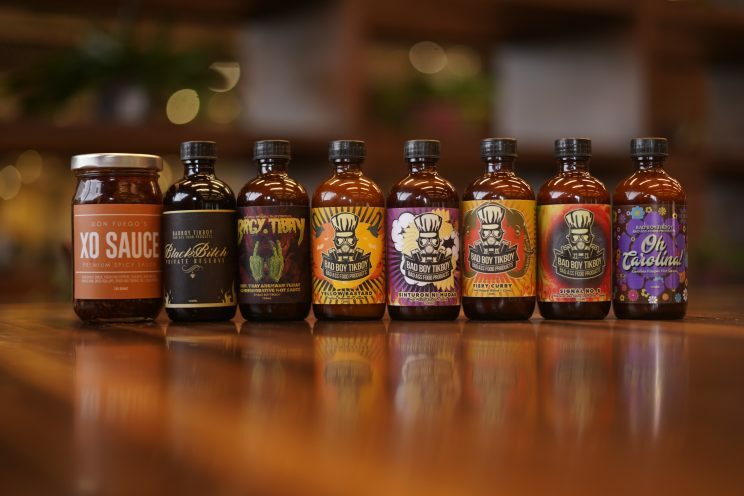 This was a driving point—a battle cry of sorts—for Justin Yenko, co-founder of Bad Boy Tikboy hot sauces. Upon evaluation in 2017, this chef and ardent chili enthusiast found local sourcing a matter of pragmatism. President of Philippine Hot Sauce Club and owner of Bad Boy Tikboy Justin Yenko with chili farmer Harold Lu. Yenko purchasing local produce, much like the brand’s very conception, began by chance. 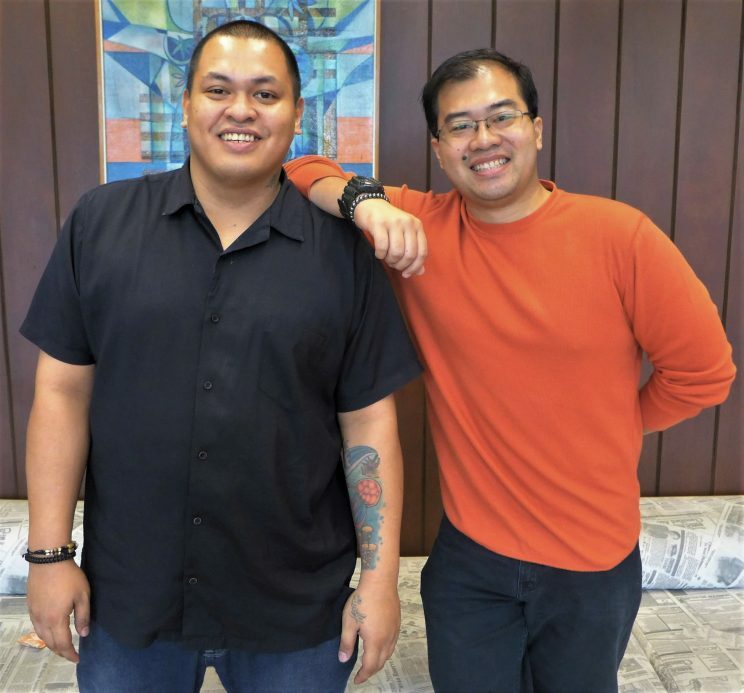 In 2014, the erstwhile restaurateur for Barley Gastropub, Quezon City, was tapped to be one of the judges in the country’s first Chili Festival. In it, Yenko saw how innovative Filipinos were in crafting various sauces. “Doon ko nakita na ang dami palang, bukod sa labuyo, familiar na panigang. 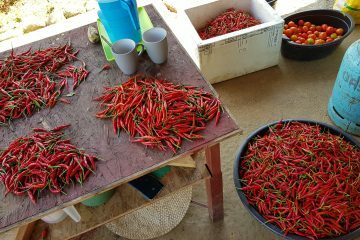 Akala ko mga sili lang, pero ang dami pala. 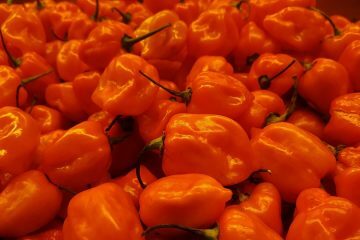 May mga habaneros pala dito, ghost peppers, Carolina Reapers,” the culinary arts graduate says. Furthermore, Yenko prides himself in being a tinkerer. Out of a desire to refine his dining experience, the chef devised Badboy Tikboy’s first sauce, Insane in the Brain, to complement his own dishes. “For the restaurant, it was already Badboy Tikboy. I was serving all sorts; grilled food, may mga smoked meats ako, yung mga steaks, ribs, pizzas. (Initially, I made) just one , Insane in the Brain. 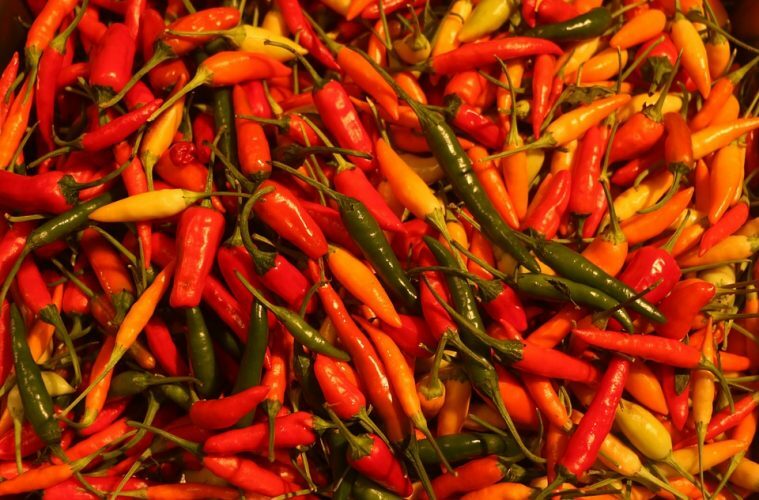 In 2017, a little over three years since the establishment of Bad Boy Tikboy, Yenko made the decision to purchase local produce exclusively, with the distinct exception of chili seeds he orders abroad. In keeping with his vision for sustainability, he arranged for local farmers to plant and harvest these seeds for the production of his sauces. Bad Boy Tikboy Complete Hotsauce Collection. 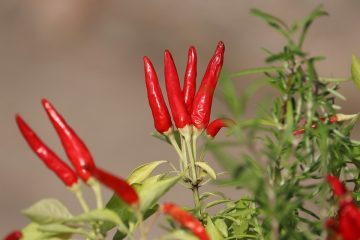 “I get the (chili) seeds abroad. I get from Tony Sherwood and Troy Primo, and then I bring it here, tapos ‘yong deal ko with the farms is to provide the seeds tapos bibilhin ko ‘yong bunga,” Yenko avers. The arrangement is mutually beneficial, the chef maintains. With the intention of furthering his advocacies, Yenko is currently in talks with agriculturists to establish a benefit for out-of-school youth. Together with Harold Lu, Yenko currently has a farm in Cavite in which he plans to install a kitchen. There, the two intend to employ wayward youth in the production of sauces. Yenko will be coming out with a new hot sauce line called Don Fuego. Three of the sauces slated for release are Lechon XO, Pinoy Banana Siracha, Papya Sinamac. Bad Boy Tikboy is @badboytikboy on Instagram.